Are you looking for review? Based on the manga of the same title. In my opinion this movie not suitable for kids who under 18. Cursed with immortality, a highly skilled samurai in feudal Japan promises to help a young woman avenge the death of her parents. Their mission leads them into a bloody battle with a ruthless warrior and his band of master swordsmen. 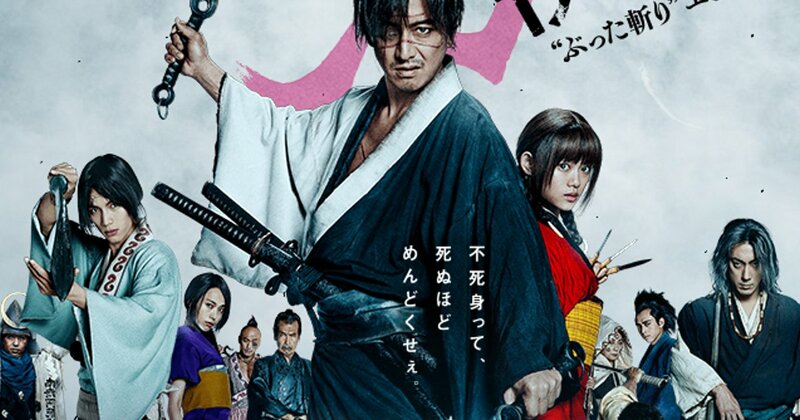 Main actor (Takuya Kimura) Manji, a highly skilled samurai. He becomes cursed with immortality after a legendary battle. Haunted by the brutal murder of his sister, Manji knows that only fighting evil will regain his soul. He promises to help a young girl named Rin avenge her parents, who were killed by a group of master swordsmen led by ruthless warrior Anotsu. The mission will change Manji in ways he could never imagine - the 100th film by master director Takashi Miike. In 2017th most anticipated film.This film's production was world-class. Cinematography, film editing, sound design, sound editing, production set design, costume design, hair and makeup, music are other aspects. 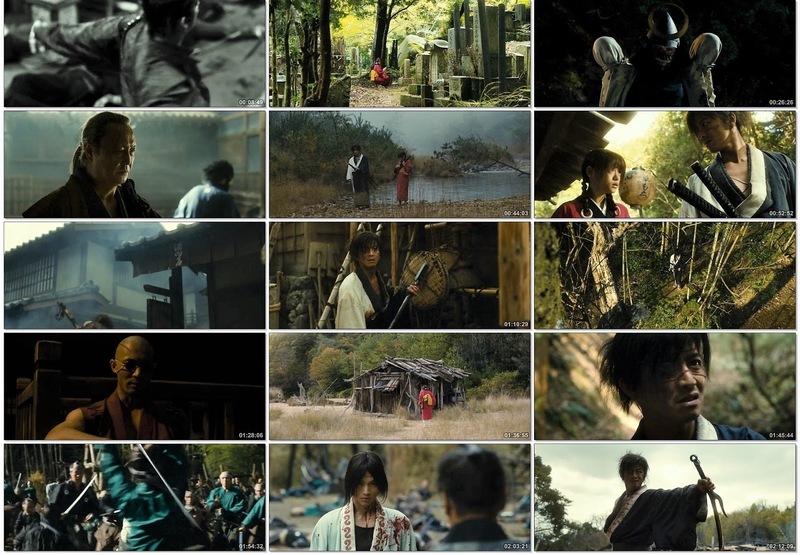 Takashi Miike had done an excellent directing job on the cast, especially its leading role, Manji (Takuya Kimura). Miike had successfully brought the best out of Kimura, shedding his KimuTaku's branding. In the film, Kimura portrayed Manji through and through. I almost forgot I was watching an idol actor who used to characterize squeaky-clean images in TV dramas. The role was so deep that you believed it was Manji's story and his immortal life that you really care about. Of course, the film will not be complete without the fine acting skills from co-stars. Hana Sugisaki, Sota Fukushi and Erika Toda had put on their ultimate to-die-for performance. The fighting scenes were artistically choreographed. The sound of swords clanging made your heart beat in sync with its rhythm. The script was well paced. There were moments of thrilling fights and there were moments of quietness. Lighting played a key role here in telling the story effectively. The cinematography told another story on its own. Every frame was a postcard. In my opinion, it was a successful adaption from the manga. What a great way to celebrate Miike's 100th film.